Our dealership is happy to service drivers in the Franklin, TN area and beyond. The next time you have questions about our selection of new Kia vehicles for sale, stop by or contact us online. We make everything accessible online so that you never feel alone in the car buying process. Here at Greenway Kia of Franklin near Murfreesboro, TN, everything is online, from the credit application to service scheduling. The new Kia lineup is amazing. You have to see the new Kia Sportage in action. Not only does it have an innovative interior with its seating capacity and horsepower. Talk to our team about the new Optima or the Forte. We are happy to help you find the perfect selection of vehicles. Call now to learn more about our services. Whatever you need, our parts department will gladly help you. 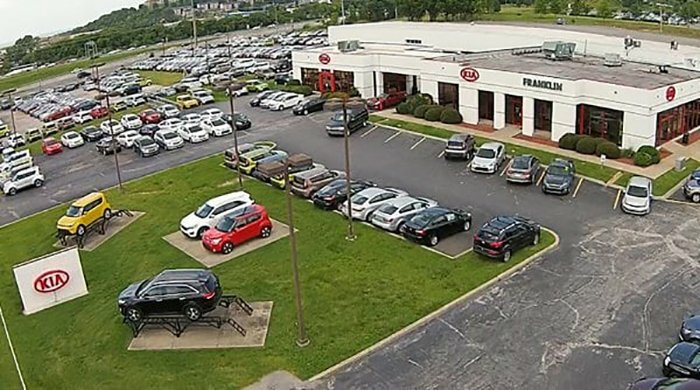 Get in touch with us our Kia dealer that serves nearby Nashville and Brentwood, Tennessee today!